Wine pairing success is fairly easy to achieve. There are many ways to make sure you open the right bottle of wine for the right meal. You can follow some basic guidelines about the principles of wine pairing, and chances are, you’ll pick the perfect wine for the occasion. That said, there is another kind of wine pairing… the kind that just happens. You have a few friends over for dinner and they bring over some wine for the gathering. You really have no clue about whether the wine will pair nicely with the spread of food you’ve prepared, but that doesn’t stop you. In addition to this uncertainty, there are many other criteria that will affect this match making. The meal consisting of multiple courses, you decide to serve the wine with the cheese platter. You can only hope that the stars will line up and everything will be fine. Like the startup of a race, everyone is getting ready to try the wine and the cheese together. On your mark! Get set! Go! Something magical is happening. Wine pairing success happens in your heart and mind. It plays with your taste buds and creates the feeling of comfort and clarity. Everything comes into place. You might think of it as a large puzzle, where all the pieces come together without much of an effort. It just makes sense. Now you must remember that wine pairing is so personal and subjective, the result is rarely the same for everyone. Wine pairing is not a science, nor a recipe. It is really hard to recreate and it’s never as good as the first time. This tiny anecdote would not be complete without sharing an example of wine pairing success, the kind that boggles your mind and leaves you wanting more. The above story features a B.R. 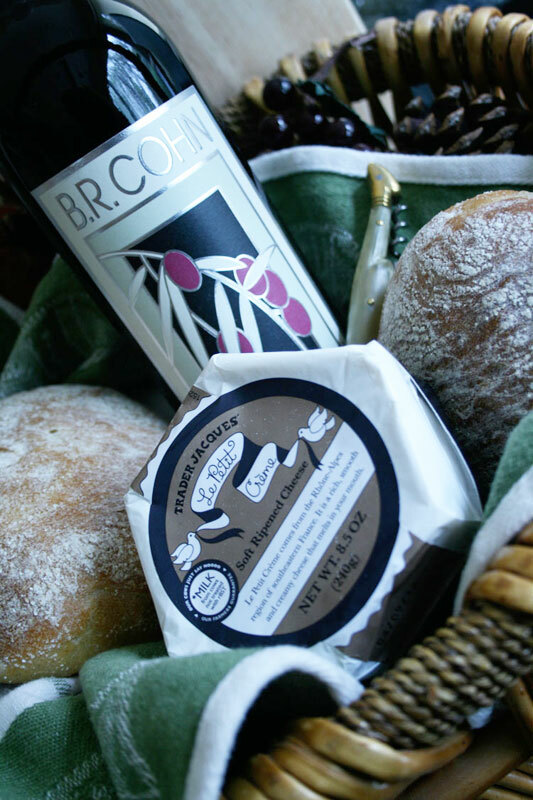 Cohn Cabernet Sauvignon 2008 and “Le Petit Crème”, a French hexagonal shaped cheese from Trader Joe’s. So if you have access to both, I heartily recommend them, together. I don’t guarantee the result, but it’s worth a shot. Photo courtesy of Migrate Design & Photography. Are You Pondering What I Am Pondering?